In its fourth year running, Cycling4Gaza will support Medical Aid for Palestinians (MAP), the first charity we partnered with during our founding year in 2009. MAP is a British charity that has been working to deliver medical care to the most vulnerable Palestinian communities for over 25 years. Today, the 5-year Israeli blockade on the Gaza Strip continues to have a severe impact on Gaza’s education, reconstruction, water, electricity, and healthcare, which remains in a state of emergency (MAP UK). Leading up to and during our 2012 cycle, Cycling4Gaza will continue to raise awareness about the effects of the blockade and help raise the funds needed for MAP to continue its work on three healthcare projects, two in the Gaza strip and one in Palestinian refugee camps in the north and south of Lebanon. This is the first year that Cycling4Gaza reaches out to the Palestinian community outside of the Gaza Strip. – Expand and share their knowledge about Palestine and the current situation faced by Palestinians. 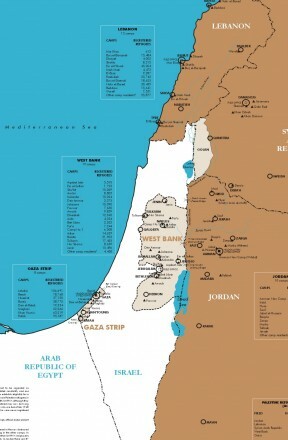 Palestine’s Gaza Strip and the West Bank have been under occupation since 1967. Although Israel ended its military rule of the Gaza Strip in 2005, it continues to control Gaza’s borders, air and sea space, and expands its control (OCHA, Special Focus August 2012) over 17% of the land with its imposed No-Go Zone. See OCHA Access and Closure Map. Between 27 December 2008 and 17 January 2009, Israel launched a military offensive on Gaza that killed 1387 people (read B’tselem report: Investigation of Fatalities During Operation Cast Lead for details) and left many more badly injured. Many of the eventual fatalities could have been avoided if appropriate care was received in the crucial hours following the initial trauma. With continued attacks on Gaza (Read read Democracy Now article), intentional shooting from the Israeli military forces on individuals stepping into the no-go zones on land and sea, and lingering hazards from the attacks, it is deemed a medical emergency to train Palestinian doctors to respond to such recurring losses of life. MAP’s Primary Trauma Care and Community Based non medic training is one of the two projects Cycling4Gaza has committed to support in the Gaza Strip in 2012-2013. The program manages serious physical trauma in order to prevent death and disability during the golden hour – the crucial window of opportunity immediately following an injury, when there is the highest likelihood that medical treatment will prevent death. Today, it is very difficult for medics to leave Gaza to take part in training or obtain the necessary qualifications. Visiting professionals are crucial to their skills development and to help stop the isolation of the medical profession and communities in the Gaza Strip. In a high risk area like Gaza, where many injuries are related to attacks and buffer zone shootings, along with internally charged conflicts, emergency trauma care is all the more important. Equipping people with the expertise to provide basic life saving skills such as resuscitation, treating heavy bleeding and how to stabilise head and neck injuries is essential so that those injured in inaccessible areas are able to receive quick basic emergency care to stabilise patients and keep them alive until medical teams arrive. In conjunction with this, Cycling4Gaza is supporting MAP’s Ensuring Safe Delivery program in Gaza, where safe childbirth remains significantly jeopardised. The war on Gaza, together with the ongoing repercussions of the blockade, led to a 55% increase in newborn deaths. Since then, health facilities have continued to be understaffed and lack qualified health providers and equipment. Palestinian refugees in Lebanon are largely marginalised from society, lack any social or civil rights, and have very limited access to education and healthcare facilities. The 12 refugee camps around the country are home to over 450,000 Palestinians, who rely largely on the United Nations Relief and Works Agency’s support in education and healthcare. (UNRWA). 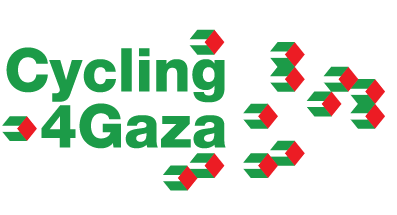 Cycling4Gaza has chosen to support work in the Palestinian camps in Lebanon in acknowledgement of the lack of international attention on Palestinian refugees. In 2007 a conflict between the Lebanese Armed Forces and Palestinian factions left over 20,000 people from Nahr El Bared camp homeless (Internal Displacement Monitoring Centre) and seeking refuge in the neighbouring Baddawi camp and other areas in Lebanon. The reconstruction of Nahr El Bared, the second most populated refugee camp in Lebanon, was supposed to be immediate. To date, only a small portion of the displaced families have returned to the camp in its partial reconstruction, while others await their turn. MAP’s maternal and child health program started as a response to the critical conditions of mothers and newborn babies who, after the 2007 attacks, had been forced into cramped living conditions and were faced with malnutrition. A high percentage of pregnant women living in the camps suffer from conditions that are avoidable and easy to treat but that, left untreated before childbirth, can expose them to haemorrhage and, in extreme cases, death. The incidents of anaemia among children below three years old have reached a rate of 80% in some camps (UNRWA Health Report 2012). This can have serious effects on a child’s physical and mental development. MAP’s program naturally spread to Baddawi, where many refugees from Nahr el Bared sought re-refuge, and was then replicated in the largest Palestinian refugee camp in the south of Lebanon, Ain El Helwe.